Pashtono Ki Tareekh By Professor Anwar Roman. Pashtono Ki Tarikh is the Urdu translation of ” Pathan Borderland” which was written by James W. Spain. A complete and comprehensive book on the Pashtun racial and national history. The extreme detail history of Pathan ethnic and tribes in Urdu language. Visit the following link to read online and also free download the complete book in Pdf format for offline reading and references. can you help me to find books on yousafzi pathans, and any help to find there blood line tree. 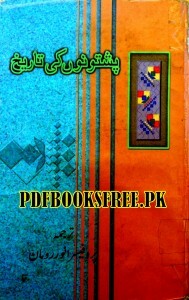 Go to the following link here is some informative books on Yousafzai tribes history. can you also guide me, any place in pakistan, stores, library etc. where i can visit an read or get the books on Yousafzai. I can mail you many books in PDF format.